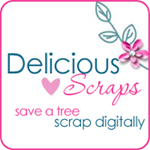 Delicious Scraps: Woot!! "The Orient" November Blog Train is HERE!! Woot!! "The Orient" November Blog Train is HERE!! This November's Blog Train theme is "The Orient". Beautiful colours and all wonderful contributions!!! Visit The Blog Train Blog for a list of ALL PARTICIPANTS! Here is a slideshow of all the contributions!! How lovely!! Thank you so much - also for the very fast and easy download - very much appreciated! Gorgeous, love the alpha, thank you! Thank you so much for this post. I want to let you know that I posted a link to your blog in CBH Digital Scrapbooking Freebies, under the Blog Trains post on Nov. 01, 2010. Thanks again. Awesome alpha! Great cherry blossom branch too! Thank you so much! thanks so much for your beautiful part! Thanks for the great alpha and other pieces! I appreciate your generosity! Thank you. Love the alpha. Thank you so much Anne! I tried that last night and all it was doing was bringing up the original sized image. Must have been a glitch. Thank you so much for the beautiful kit hun... it's fabulous! Never mind - finally got it to appear & d/l is good. Thanks for this great freebie! After all... elements are nice, papers are great but a wonderful alphabet.... PRICELESS! Thanks so much! I love this theme! I've been planning layouts for my China trip and didn't have an alphabet... now I do! Very lovely kit, thanks so much for making and sharing. Many thanks for sharing your gorgeous work! What an awesome theme for the Blog Train this time! I appreciate your taking part in it. thanks so much they are really lovely!